Ugh! The more accurate answer is, “With mobile GIS, I could do all kinds of stuff: transformer inspections, pole inspections, damage assessment, customer surveys, staking, manhole cleaning, battery maintenance, meter testing, painting…” The list goes on! There may be hundreds of different workflows. The issue is that each one of these workflows requires a very limited set of information. So why load up field workers’ mobile devices with everything they could ever want–but really don’t need–on their ruggedized laptops? It’s a classic case of one-size-doesn’t-fit-all. 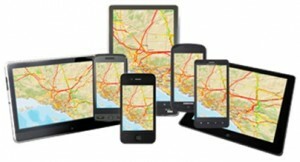 Instead, there should be no such a thing as mobile GIS at all. There should be an app for each workflow. We should be asking about a damage-collection app, a streetlight-replacement app, or a pole-inspection app. If my job is to do lamp replacements today for the city of Somerville, Massachusetts, then my app should show me only streetlights that need lamp replacements in Somerville. I don’t need or want data on line switches, gas leaks, or dirty manholes unless the workflow requires it–period.